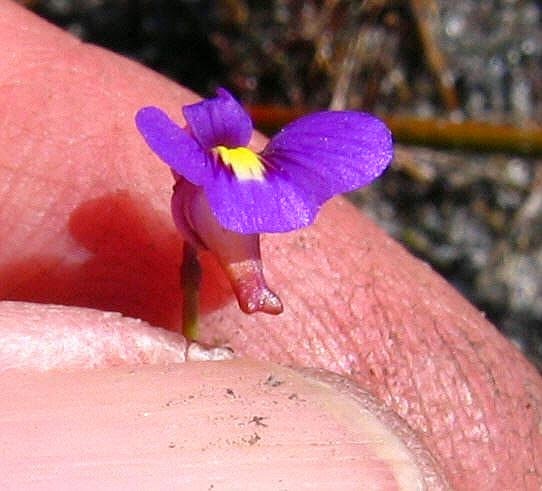 This brightly coloured Bladderwort occurs mainly in near coastal areas from the Geraldton region (north of Perth) to Israelite Bay (east of Esperance), it then crops up again in the southern boarder region of SA and Victoria, plus is also known from NW Tasmania and Flinders Island. 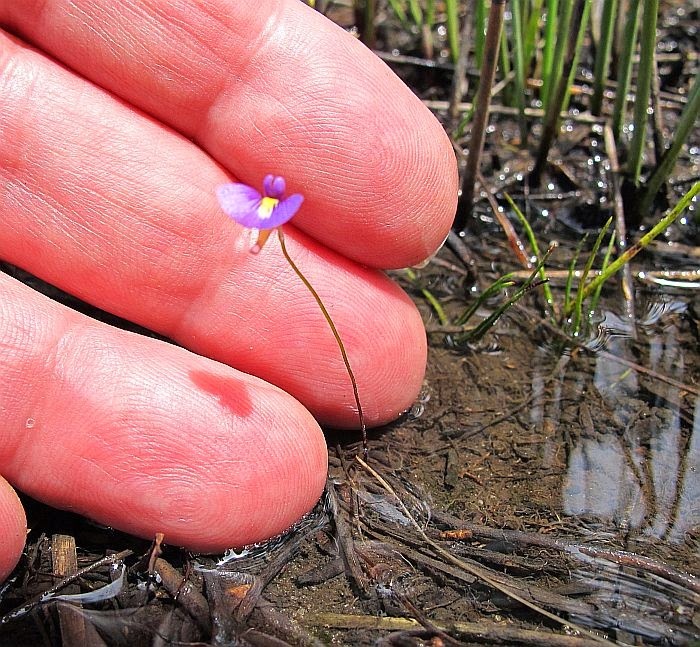 Locally it commonly grows with Utricularia dichotoma, although that species generally prefer deeper water whilst Utricularia violacea tend to be around the swamp edges in shallow water that dry during summer. 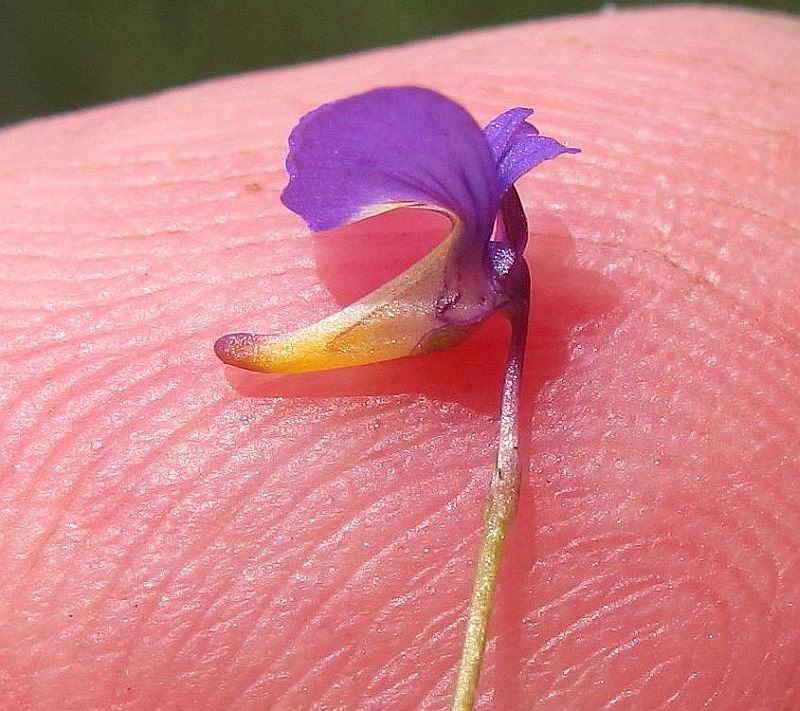 The solitary flowering Violet Bladderwort is an annual herb that rarely grows more than 15 cm (6”) in height and is usually much less. 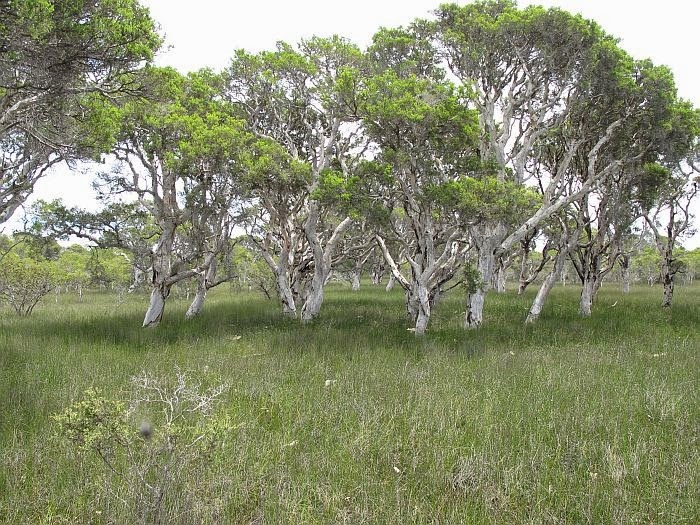 From September to December in the habitat photograph above, it may be found around the edge of deep pools, where sunlight is uninterrupted by taller vegetation. 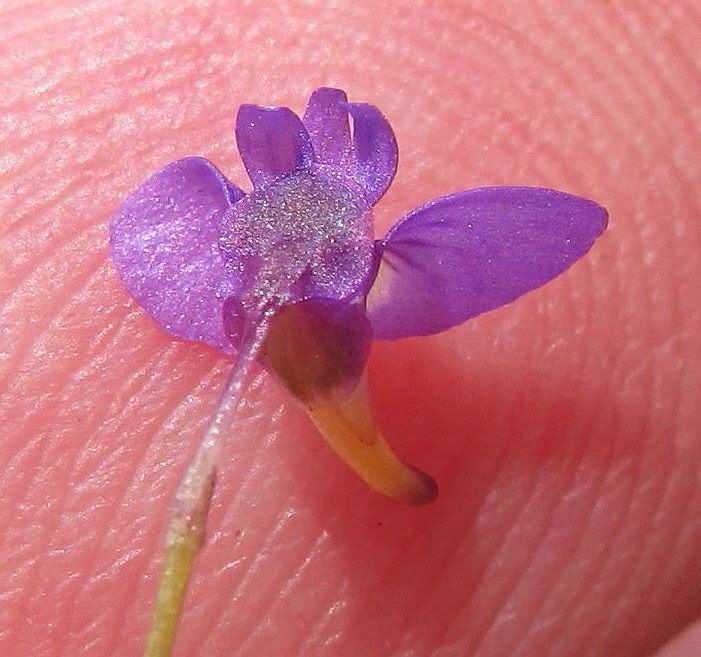 It is worth keeping an eye open for a similar species called Utricularia inaequalis, that overlaps and occurs at much the same time, however that species has much larger flowers (roughly the size of your thumb nail, whereas flowers of U. violacea are more the size of your little finger nail). 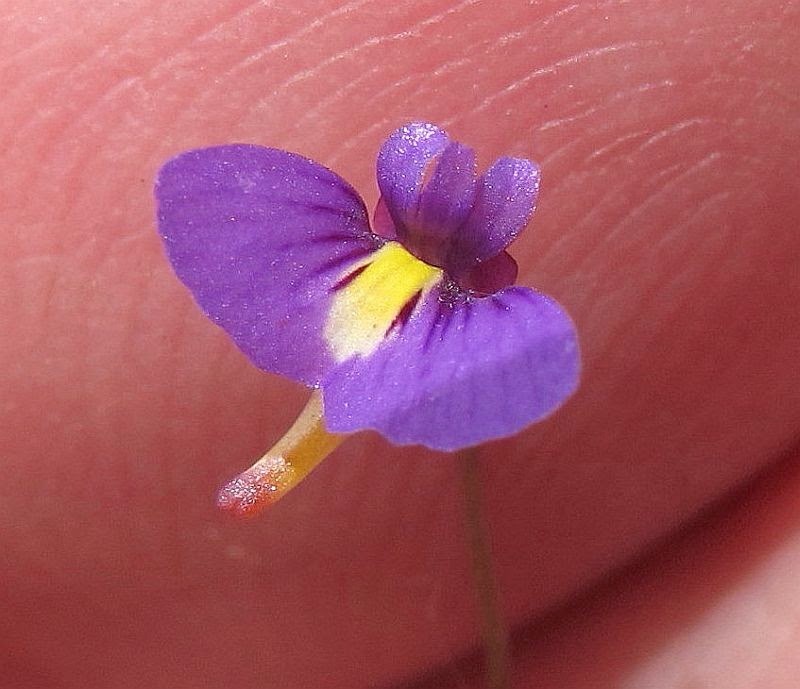 Utricularia is part of the Lentibulariaceae (Bladderwort) family.